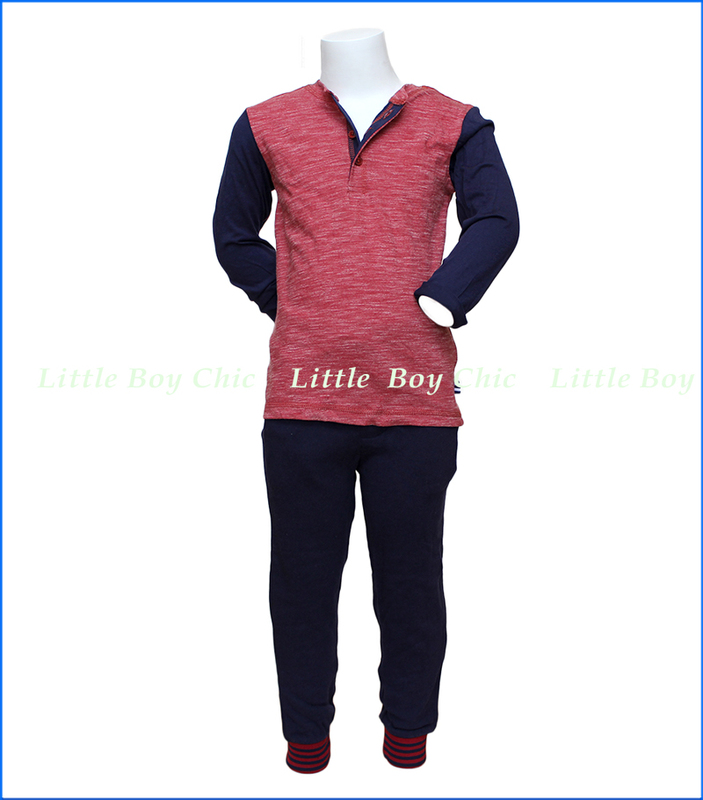 This outfit epitomizes loungewear with a top and pants that have a very soft hand feel and subtle fabric. 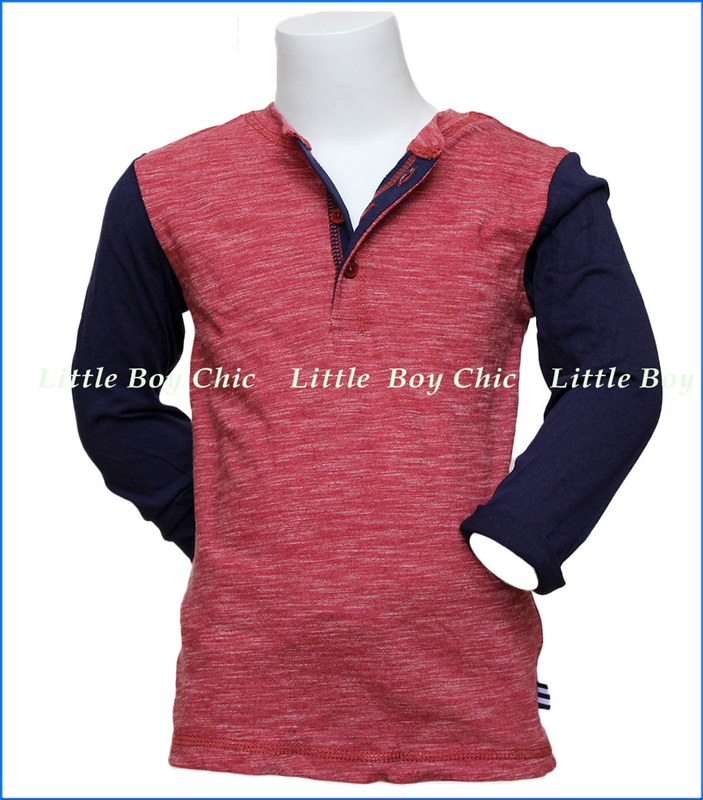 Top features: Slub henley with contrast stitching and contrast long sleeves (LS). 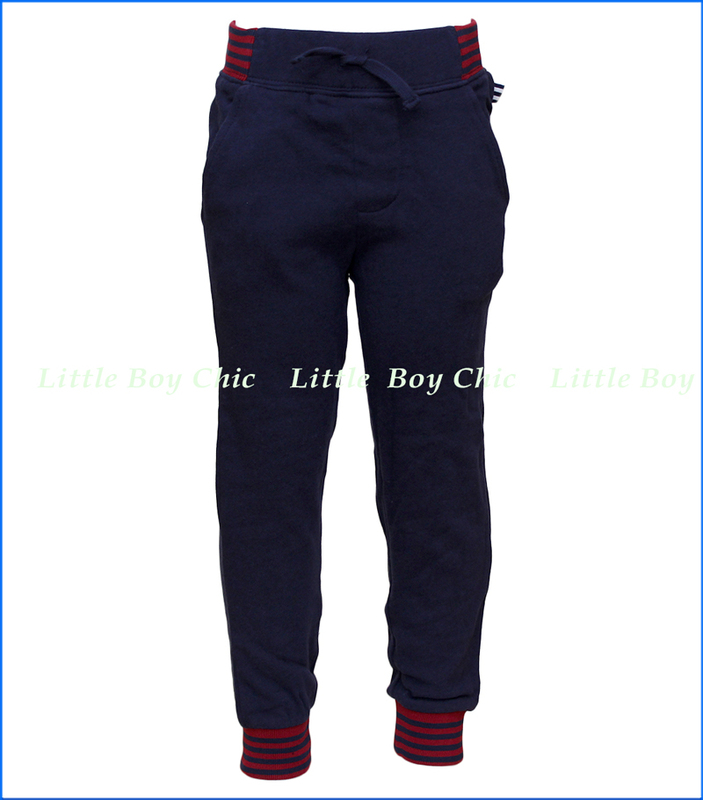 Pants features: contrast striped, ribbed elastic cuffs and waistband with faux drawstring. Woven label at seam.